Robust: A model is robust if it does not break down when assumptions are changed from one end of the spectrum to another. 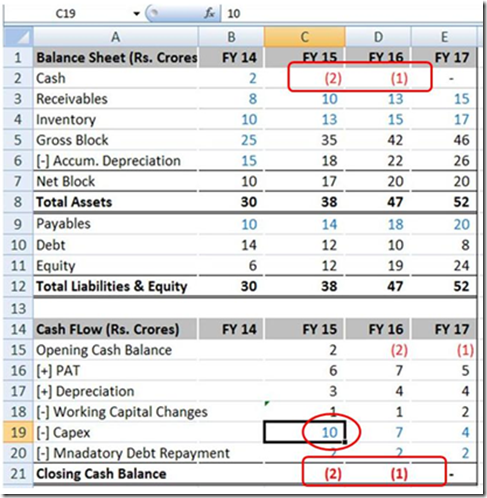 A frequently noticed error in this category is incorrect / inconsistent tax computation if assumptions are changed such that PBT changes sign from positive to negative. 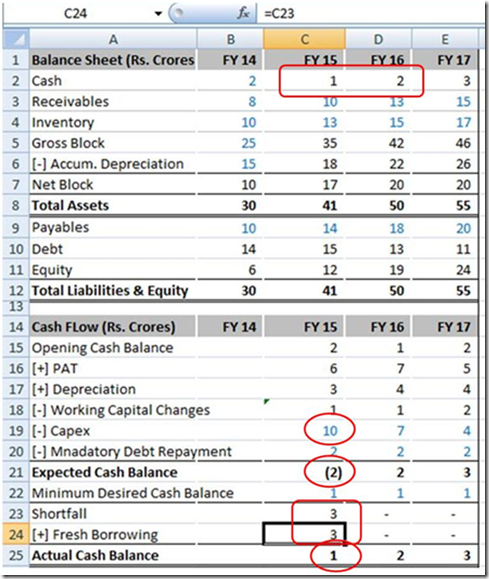 Another frequently noticed error is that balance sheet starts showing negative cash if capital expenditure in a year is doubled or tripled. Your model will break down in case PBT is negative for a few years in succession. It will not return the benefit of accumulated losses. Tax modeling is quite a complicated topic in itself. Keep watching this space for a detailed blog on a comprehensive tax modeling. We present a simple method below (for the sake of readers) that can help you sail through the situation where PBT retains its positive trend after becoming positive once. 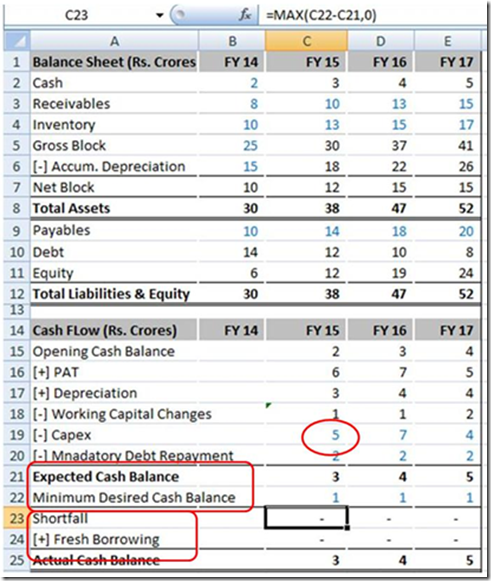 Remember, our understanding of a valuation model is inversely proportional to the number of inputs required for the model. Simpler valuation models do much better than complex ones. So we should never aim for making a complicated model. 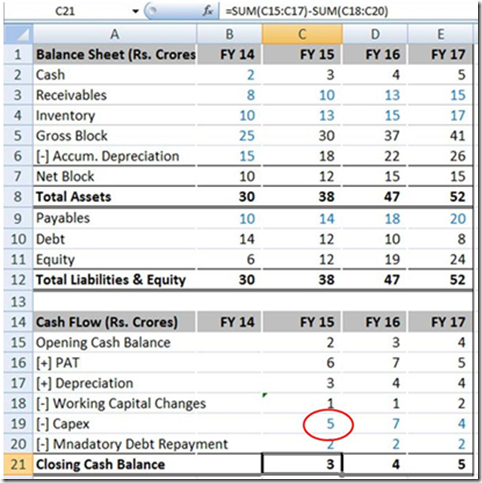 We should always try developing a scalable and robust financial model without compromising on its simplicity. Do you have some more tips to induce robustness in a financial model? You may discuss the same with us and our numerous readers below.